Distributed 300 earthern nest, 200 cardboard nest, 300 waterbowls, 200 earthen grain feeder and 50 mulberry saplings. 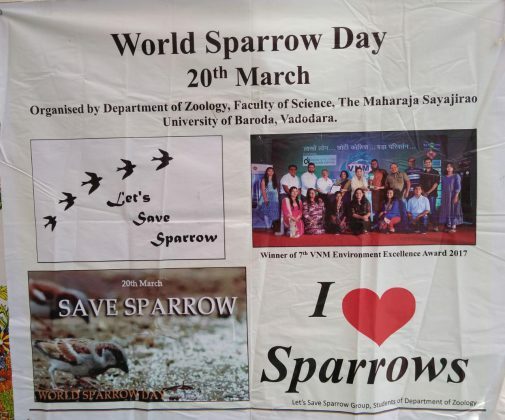 World Sparrow Day is celebrated globally on 20th March with an aim to raise awareness towards conservation of “House Sparrow” a important bird in urban ecosystem. 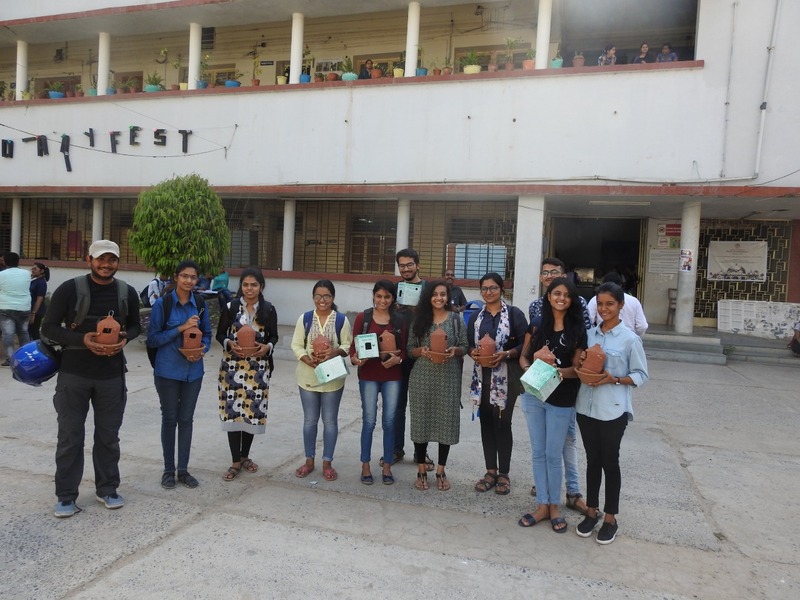 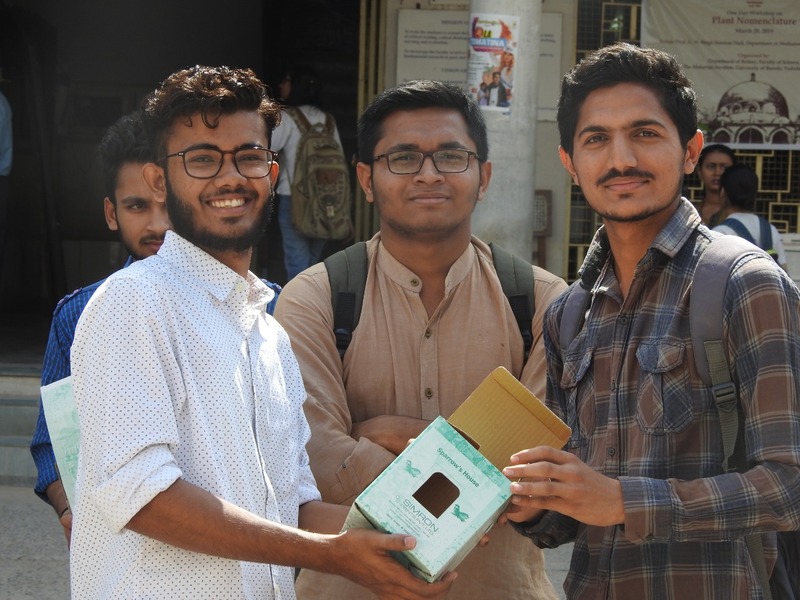 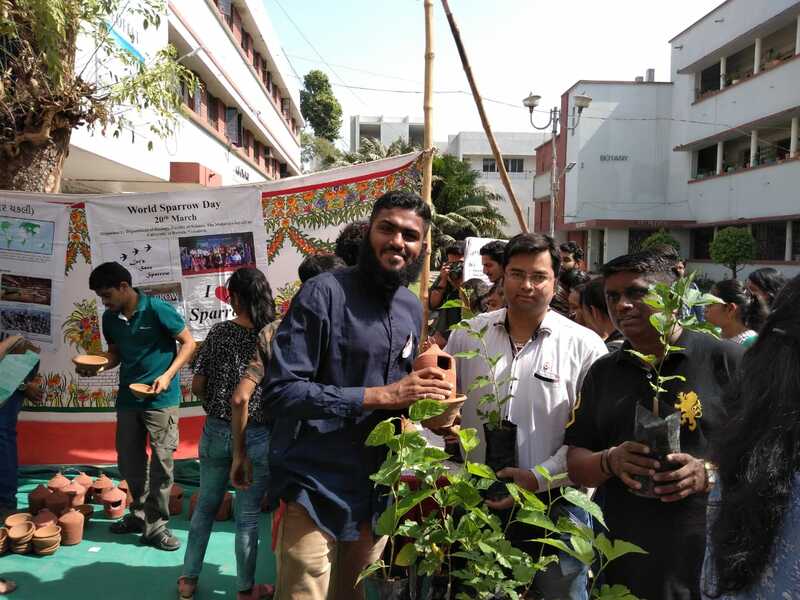 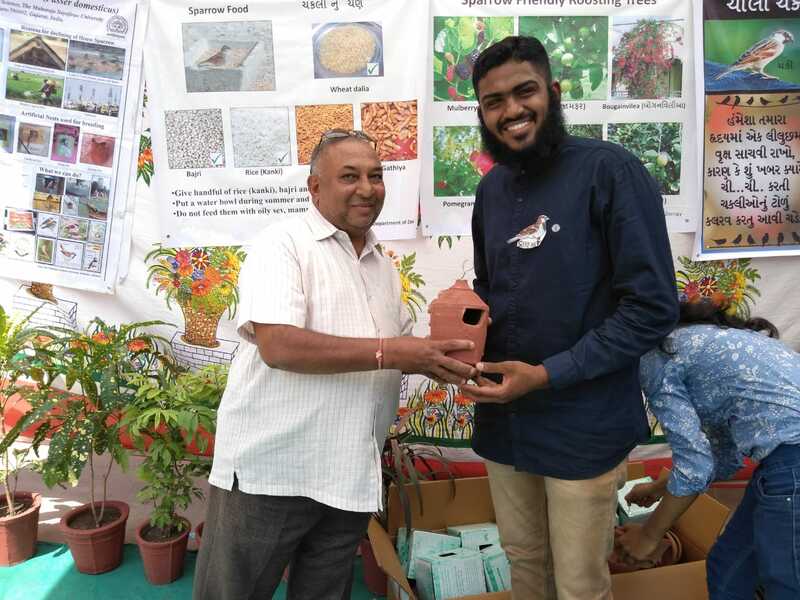 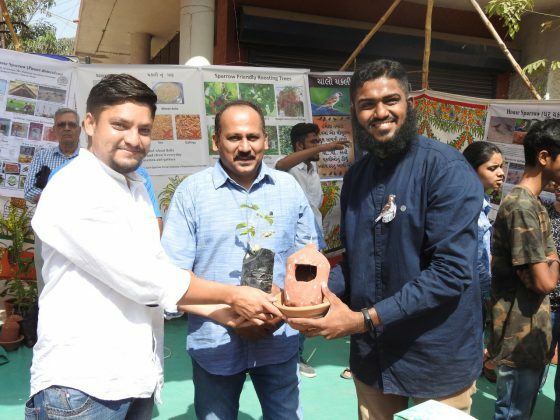 With an aim to sensitise people towards the cause the students of Science faculty celebrated the day and distribute earthen bowls, cardboard nest boxes and others. 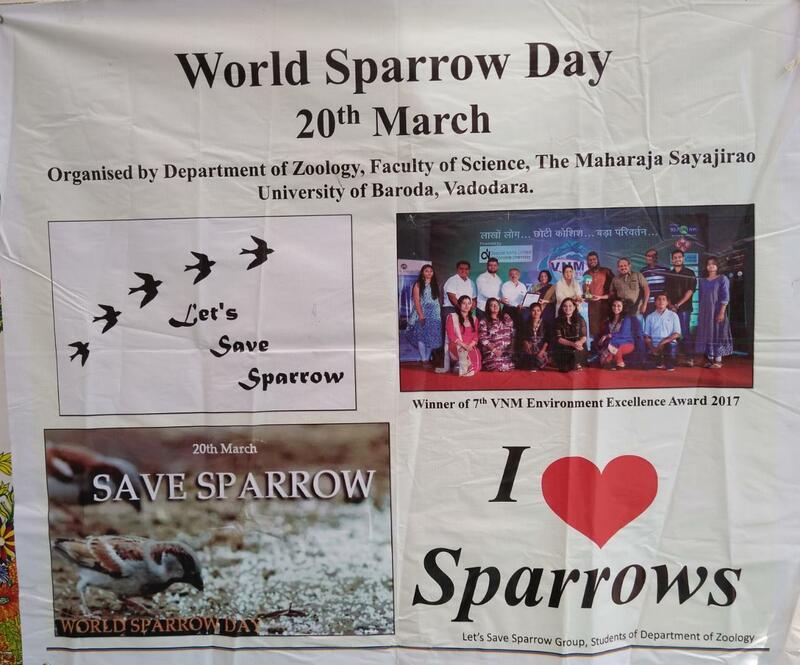 On 20th March Department of Zoology had celebrated World Sparrow Day for the awareness and conservation of House Sparrow (Ghar Chakli). 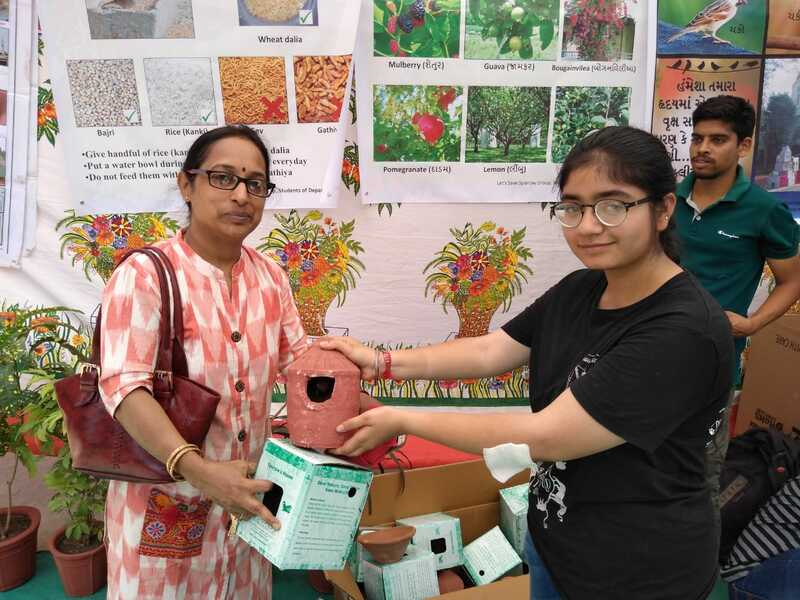 They have distributed 300 earthern nest, 200 cardboard nest, 300 waterbowls, 200 earthen grain feeder and 50 mulberry saplings. 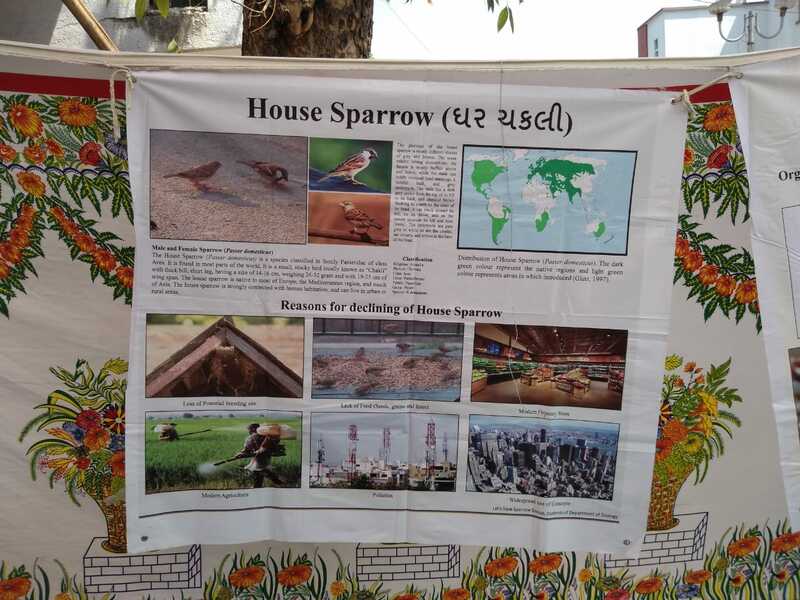 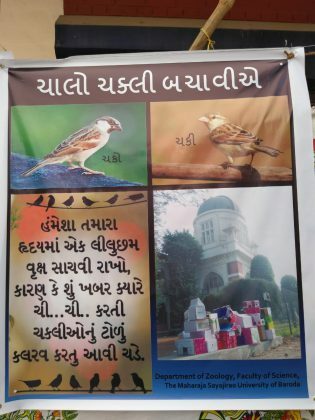 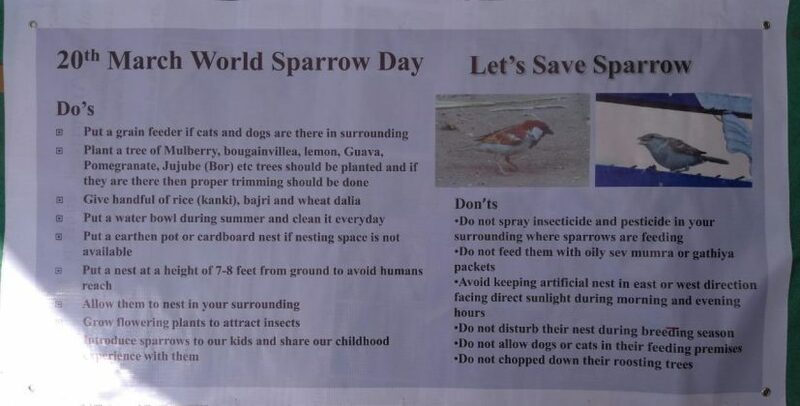 This World Sparrow Day the student had created awareness regarding the sparrow food and sparrow roasting trees. 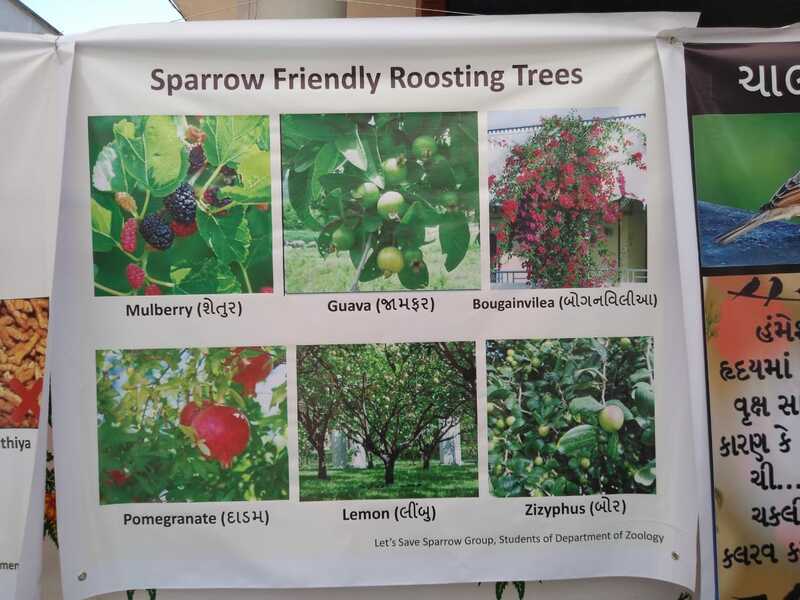 “People should plant trees like Mulberry, Guava, Pomegranates, Boar, and Bougainvillea which are most preferred by house sparrow for roasting. 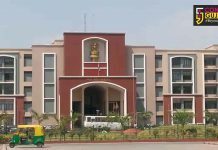 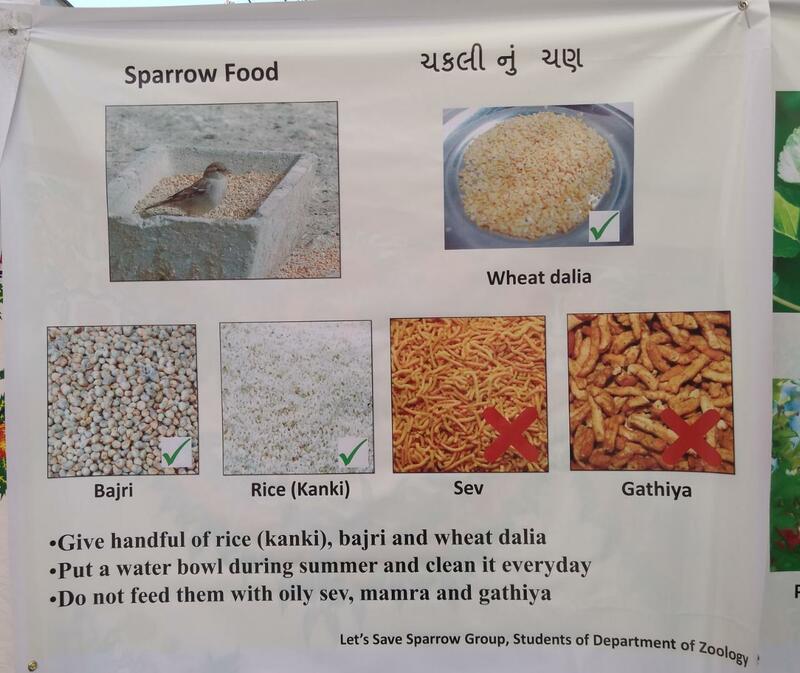 People should not feed oliy sev, gathiya and mummra instead of that they should feed their natural foods grains like Bajri, Kanki(broken rice) and Wheat dailya,” said Ali Asgar Vohra a research scholar and extensively working on project to save house sparrows. Disappearance of house sparrow has been credited to urban architectural changes, landscapes modifications, changes in life style, and food habits of human and reduction in number of “Sparrow Friendly” trees. 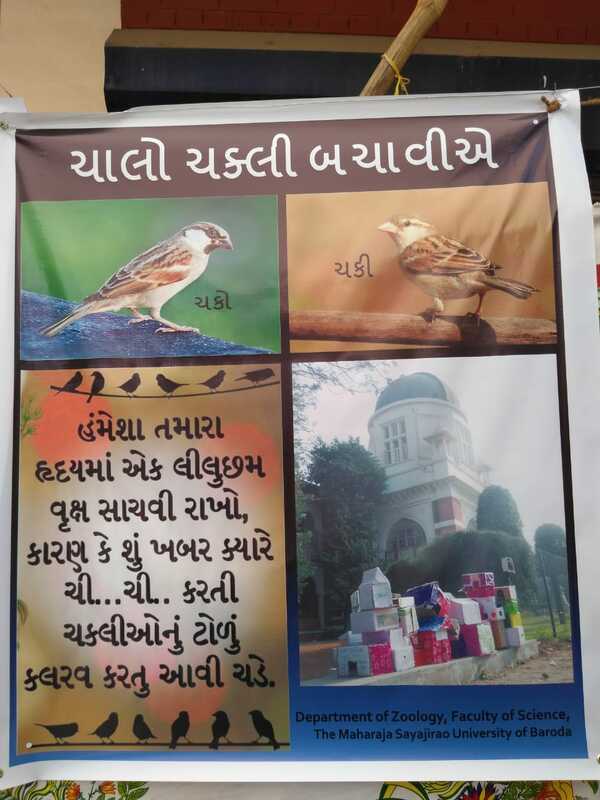 Reduced availability of insect larvae and radiation hazards from cell phone towers are also debated as possible reasons of disappreance. 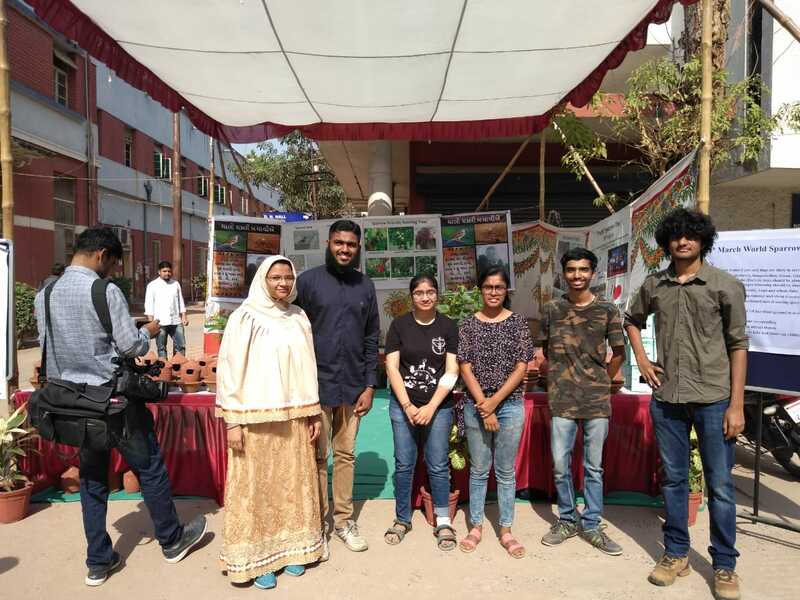 Students participated in the event at Science faculty are Aliasgar Vohra, Sharan Mori, Nikunj Vasava, Dilpreet Sawhney, Anushka Surana, Shreeya Mishra, Rajvi Pawar, Vishal Makwana, Gaurav Bakotra, Adroja Marut and Hiren Patel.